According to market research company JATO Dynamics, VW Group has sold 3.32 million vehicles, Toyota 3.06 million and Renault-Nissan 3.02 million. JATO uses a combination of vehicle registrations and retail sales to arrive at its figures. Through the first four months, the alliance is close to the top two. Renault-Nissan could stay in the top three for some time, excluding any unexpected mergers or acquisitions. 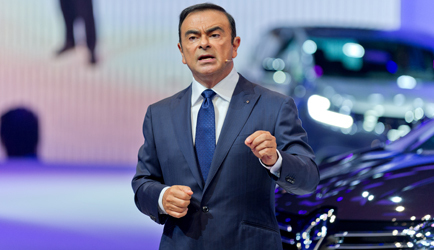 The alliance of Groupe Renault, based in France, Japan-based Nissan Motor Co. Ltd. and Mitsubishi Motors Corp., sells cars under nine brands â€“ Renault, Nissan, Mitsubishi, Renault Samsung Motors, Infiniti, Venucia, Dacia, Datsun and Lada.